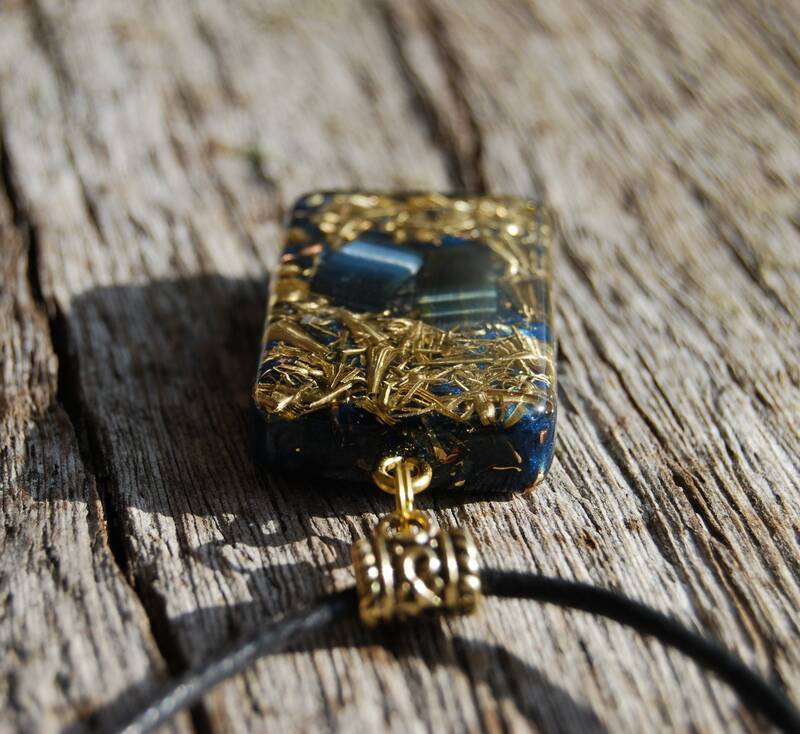 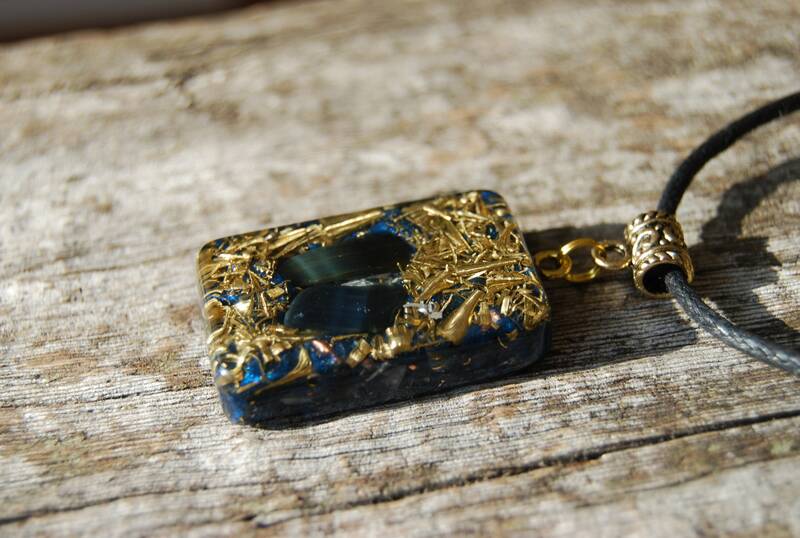 This unique blue Tiger Eye pendant is handmade out of lots of brass, aluminium, iron, bronze and copper shavings which is neccessary to clean stagnant energy (according to Wilhelm Reich's research). 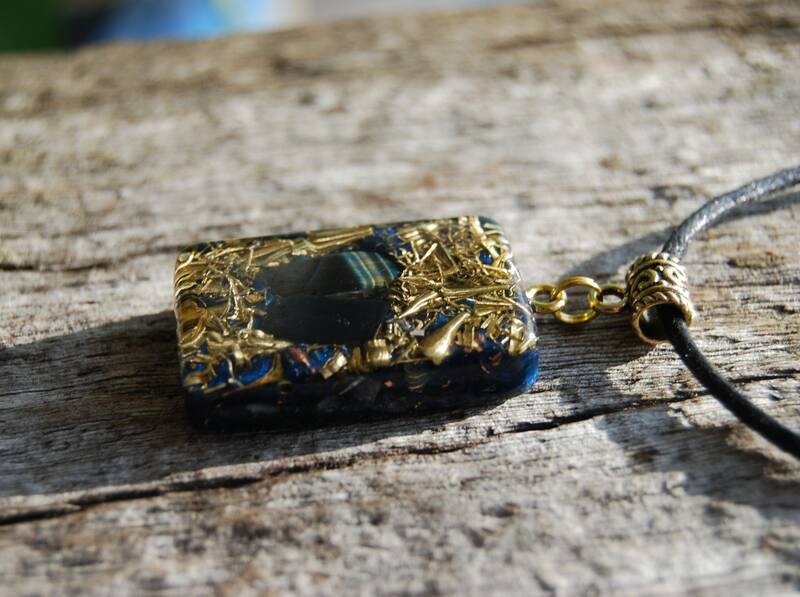 The main stone is blue Tiger Eye which you can see in the front. 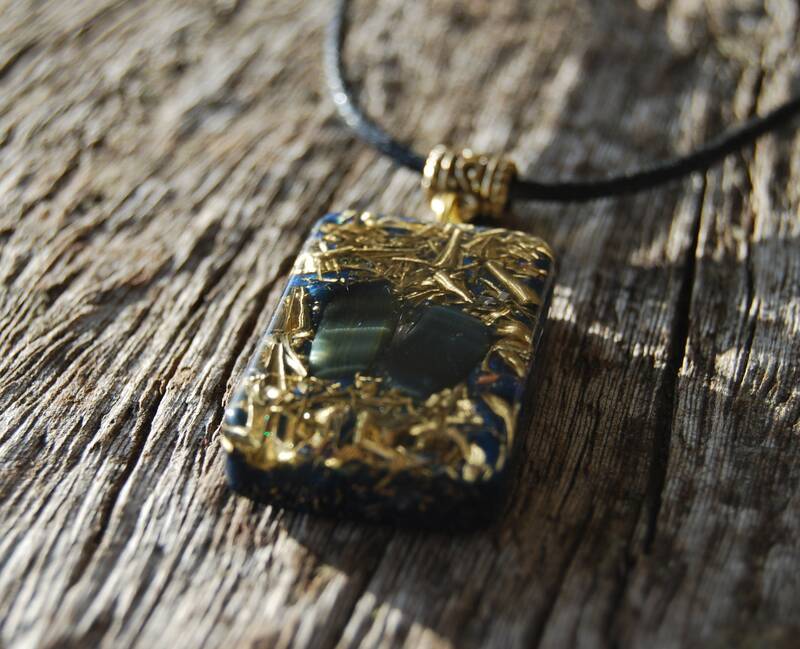 It furthermore contains Elite Shungite (protection), Pyrite (to enhance the overall power), black Tourmaline (front) (to protect and ground excess energy) ,Rhodizite (to amplify the other crystals) and one clear quartz (for piezo-electric effect) all within a durable resin setting. 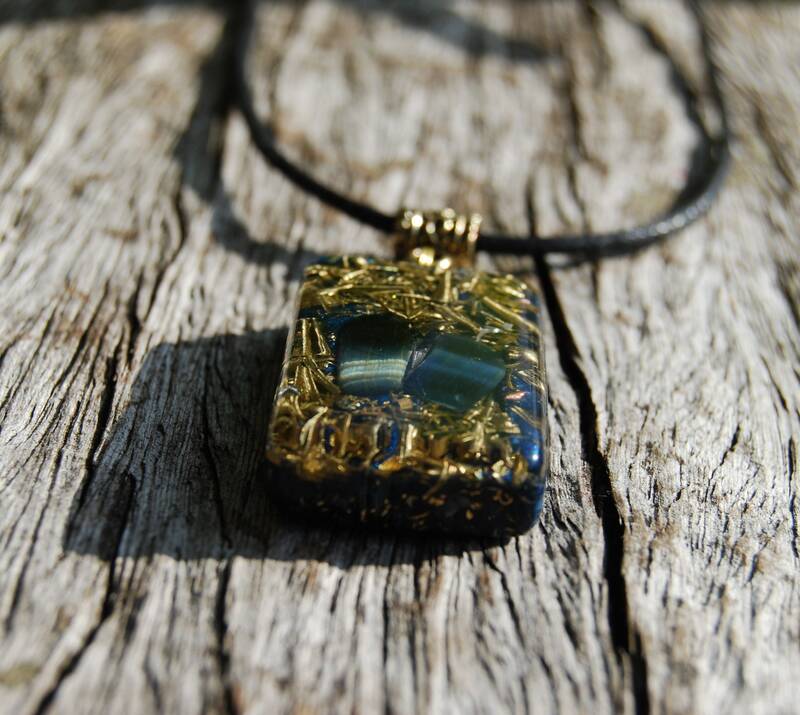 Blue Tigers Eye also has the energies of Tiger's Eye. 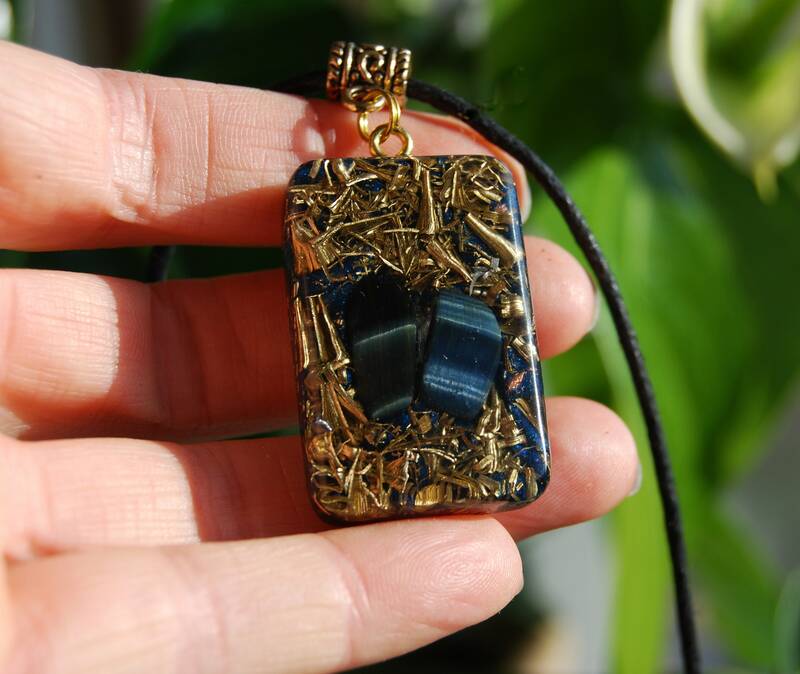 Blue Tigers Eye enhances integrity of communication and practical communication. 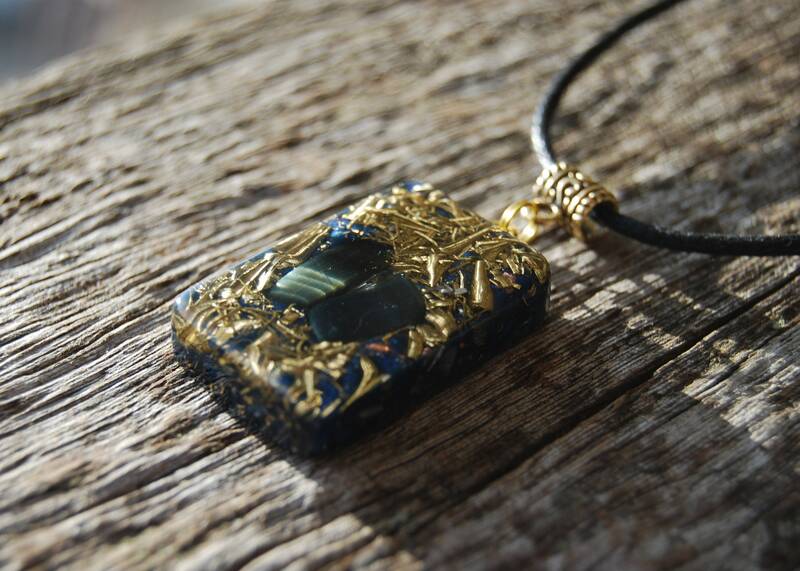 It can help find courage to recognize thoughts and ideas, and the willpower to carry them into the physical realm. 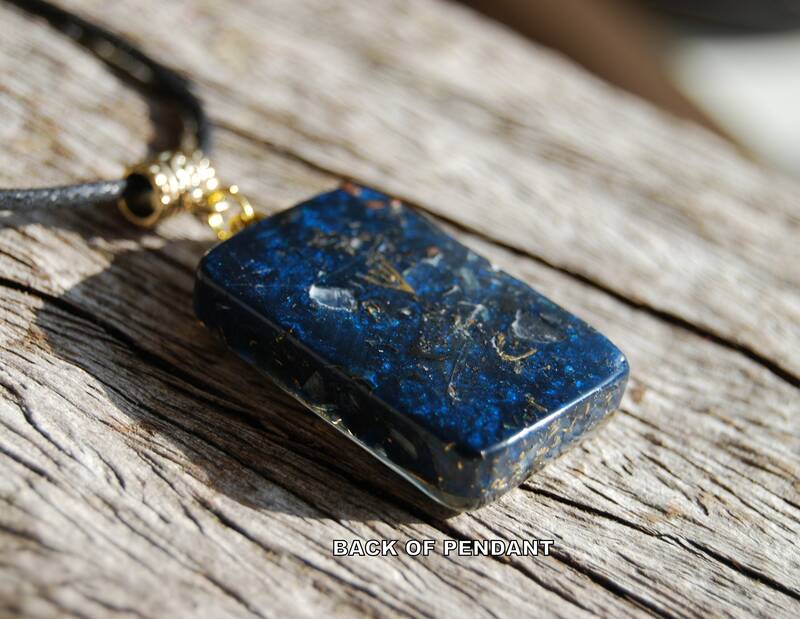 It is also a stone of intuition and insight. 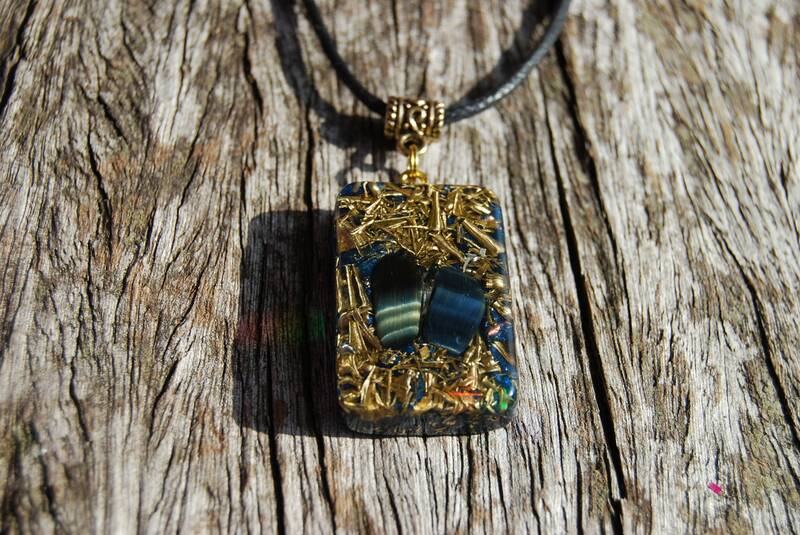 Blue tigers eye can be used for protection, especially of the upper chakras. 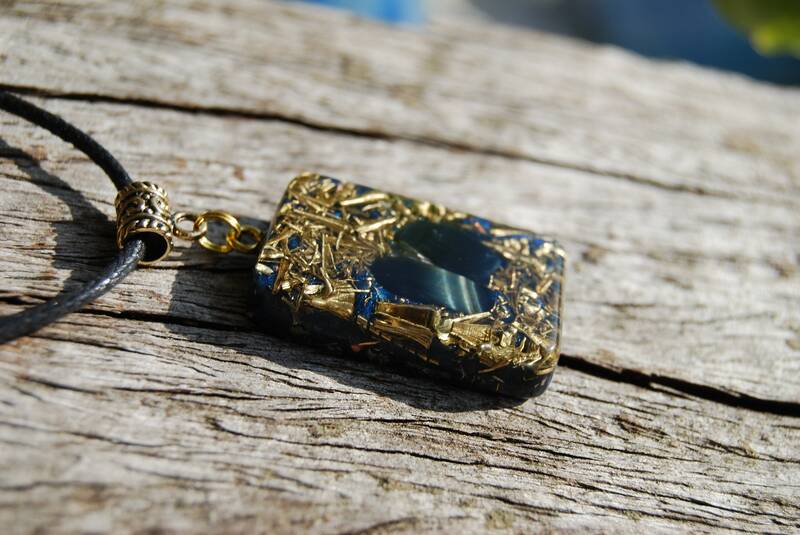 It is also said to bring good luck to one who wears or carries it.